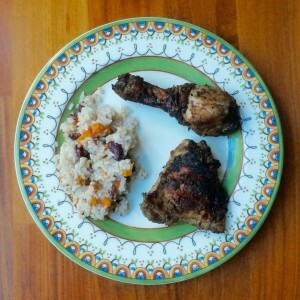 Way back when I was a high school English teacher, the school I taught at performed a Caribbean-inspired musical called Once On This Island, and included in the program was a recipe for Jamaican Jerk Chicken and Caribbean Rice and Beans. 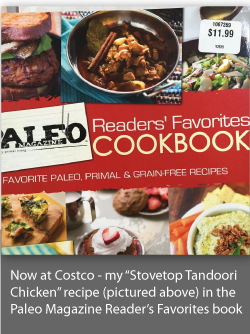 Both recipes became instant favorites, especially as I tweaked them to suit our taste preferences (we like it hot! ), and our love of good quality ingredients (like homemade bone broth, coconut oil, and fresh vegetables). These recipes are a perfect pair–the flavors are similar yet complimentary, and if you’re making the marinade, you’ll have most of the ingredients for the rice. And just like with the marinade, the habañero adds heat, but it also imparts a unique flavor that can’t be replicated with other more common chilies (I’ve tried!). You can remove the seeds from the habañero to make it milder, or do like we do and add two! This spicy, coconutty rice is a favorite in our house (among the adults anyway), and I’m betting you’ll enjoy it, too. 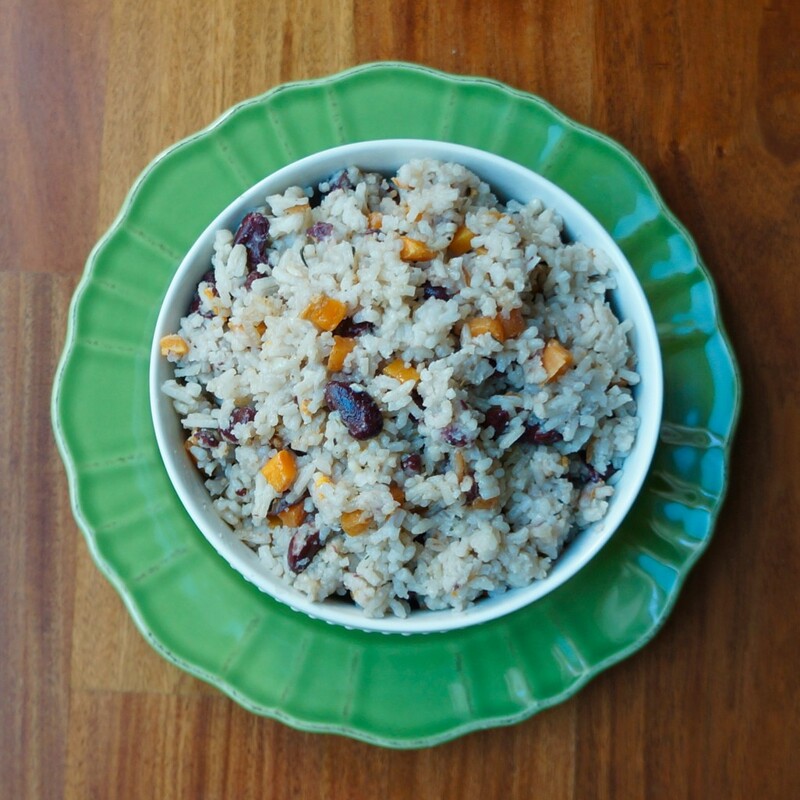 The carrots add a hint of sweetness, and the kidney beans give the dish some additional texture and color (and the rice will still be amazing if you choose to leave them out). I often serve both the Jerk Chicken and this rice with some grilled zucchini or a side salad, and it has been a popular meal to share with guests. Heat the coconut oil in a medium sauce pan over medium heat. Add the onion, carrot, garlic, and habañero pepper and stir well. Sauté over medium heat for about 7 minutes or until the onions and carrots begin to soften. Stir in the rice, spices, and salt, and cook for about a minute. Add the broth, coconut milk, and beans and stir well. Cover. Cook over medium heat for 15-20 minutes or until the rice is tender. After 20 minutes, check to see whether the rice is done--sometimes the rice is cooked but very wet, so I uncover the pan, stir, and cook for another 5-10 minutes to dry it out more. Fluff with a fork and serve with Jamaican Jerk Chicken, a salad or roasted vegetables.